Pillars of Eternity II: Deadfire picks up almost exactly where the first one finished. Caed Nua (your fortress) is destroyed as the god Eothas is awoken from beneath it. Returning to life in the form of a gigantic statue, he sets off wandering across the Deadfire. The other gods set you the task, as a Watcher, to go after him and find out just what his problem is. 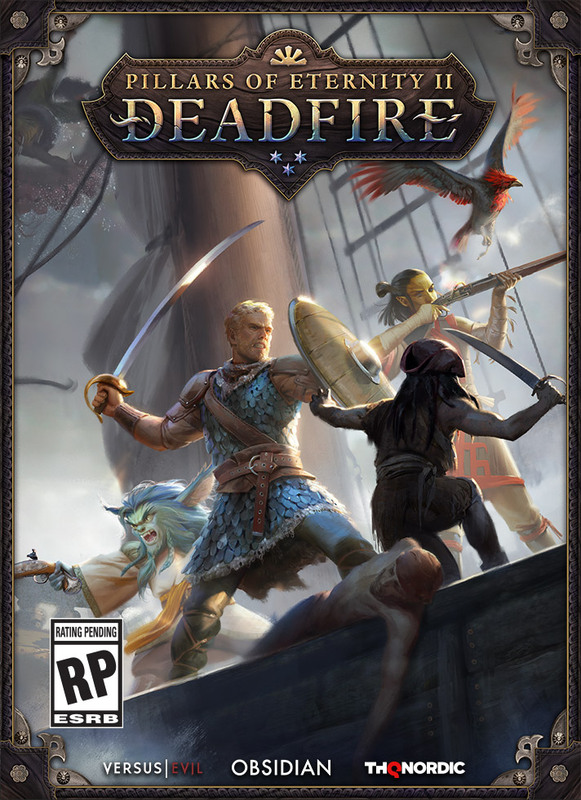 While in the original Pillars of Eternity you had the micromanagement of Caed Nua to deal with, Deadfire sees you taking to the seas with no real place to call home. Instead, the ship is now your home, and you have control and responsibility over maintaining it. From hiring appropriate crew and upgrading cannons etc., to providing enough food and water for the journey. Well, not water. The crew prefers anything stronger. 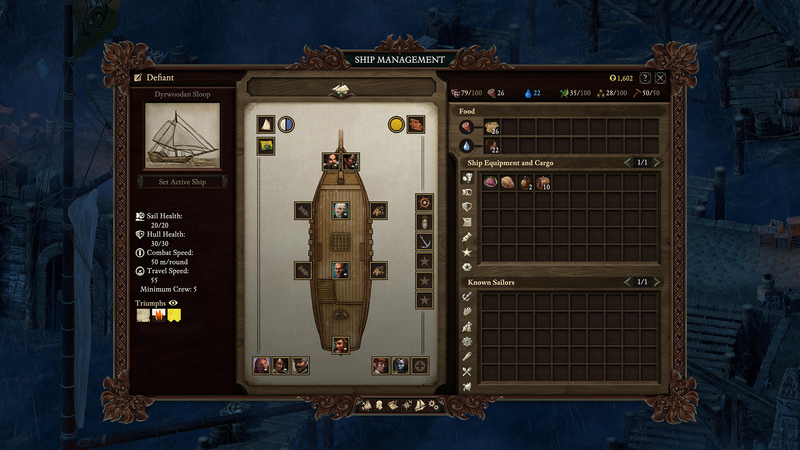 As you sail around the world map you can get into Ship-to-Ship combat. This puts you into a turn based combat system where you control how to maneuver your ship into the best spots to fire at the opponent. The only information you get back is the distance between the ships, and their related orientation. It’s quite abstract, but works really well. When firing the cannons you get the choice between Cannon shot (hull damage), Chain shoot (sail damage) and Grape shot (crew damage). Damage the opponent enough before closing in and boarding their ship. At this point the game will flip back to normal map based combat between your crew and theirs. The first time I did this I jumped into boarding a little prematurely. What happened on board the ships that day was unthinkable. Slaughter of the cruelest degree. 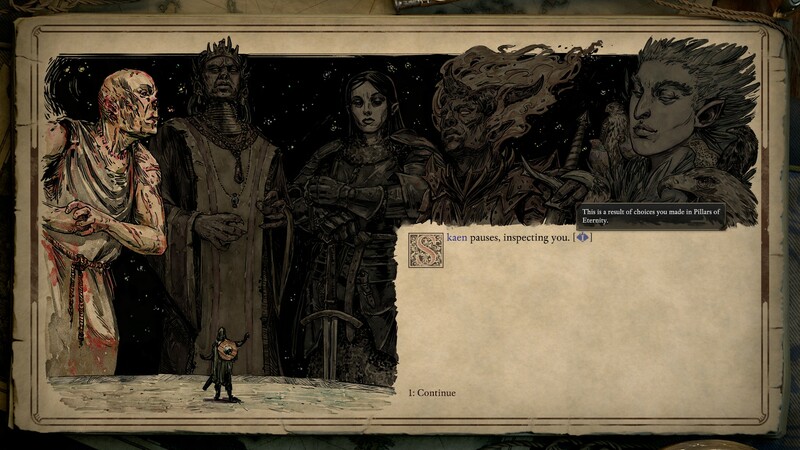 At the end of the fight, only my main character was left standing. I thought I was going to need to sail the ship back to the nearest port by myself, fearful of any further encounters. Post combat I was relieved to see that my crew were all still alive, and able to share in the spoils of war. The first Pillars of Eternity was lauded for sticking to the old school style of RPG gameplay of the likes of Baldur’s Gate. Deadfire does not waver from this either. Yet, this is almost detrimental in some parts. I completed a quest in the early game that perhaps I wasn’t meant to. All I had to do was pay a ransom. By doing so, it triggered an event that saw my party get into a fight. A fight that they could not win. Or, at least, that I wasn’t capable of winning. Outflanked and out ranked, I tried repeatedly for an hour to win the encounter. I don’t think I killed a single bandit in all the attempts. And this was me playing on relaxed mode. (There’s only “Story” mode below that in the difficulty settings). The only resolution here was to go back to an earlier save, before paying off the ransom. I’ll come back once I’m stronger or have a bigger party. 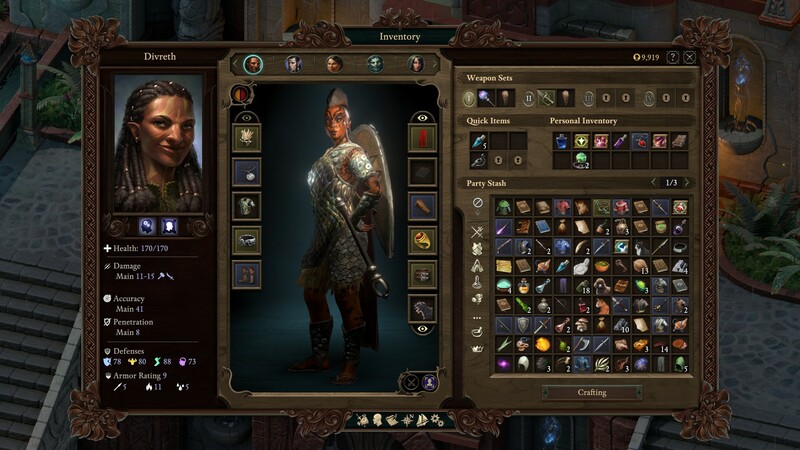 The first Pillars of Eternity game had a vast network of player decisions that affected the game. If you import your save, those decisions even have effect on the characters in Pillars of Eternity II: Deadfire. Even if you didn’t play the original (or, like me, lost your save file) then when you begin a new game, you can select from a few preset paths as your back story. There’s also the option to go into the settings and completely rebuild a story from the first game to import as your background. These backgrounds have a profound effect on Pillars of Eternity II: Deadfire. From the way characters react to you, all the way to whether they even appear in the game! 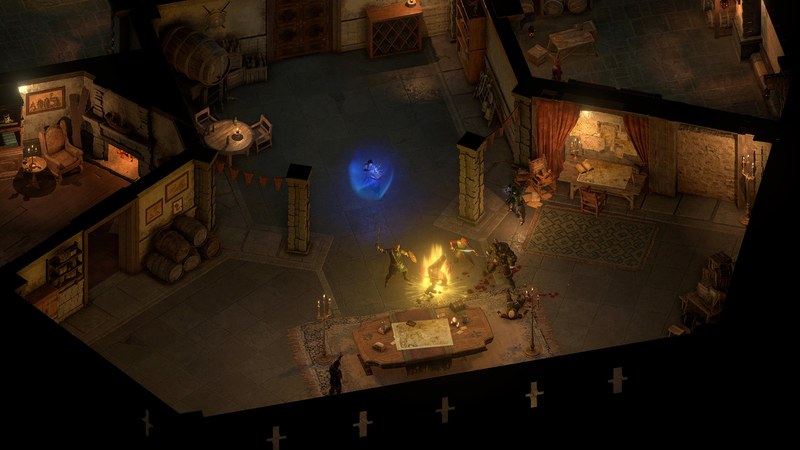 One change in Pillars of Eternity II: Deadfire is to the party size. 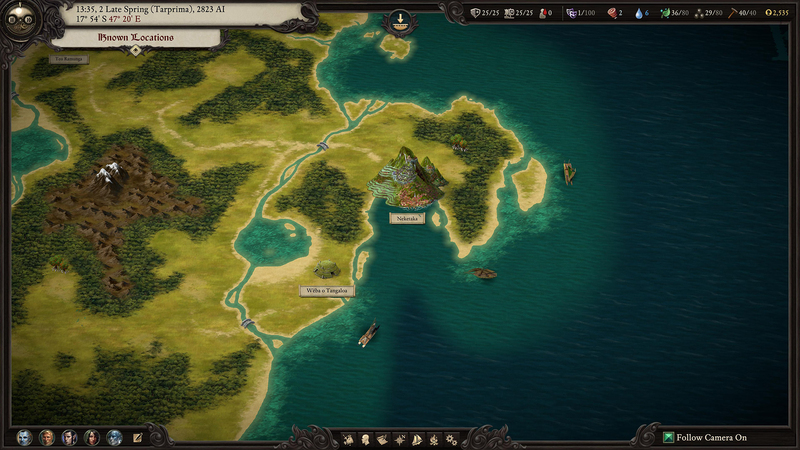 Obsidian have reduced it from six to five. The idea is that parties will be a bit more manageable. And players will also have a bit more care over their party. Even the “hired help” members. But for those of us who only really care about the key character during combat, comes the addition of party AI. This new system allows party members to be controlled with the AI during combat. You get to pick the order of preset behaviours for their combat style. But then you don’t need to worry about assigning them any actions during combat itself. 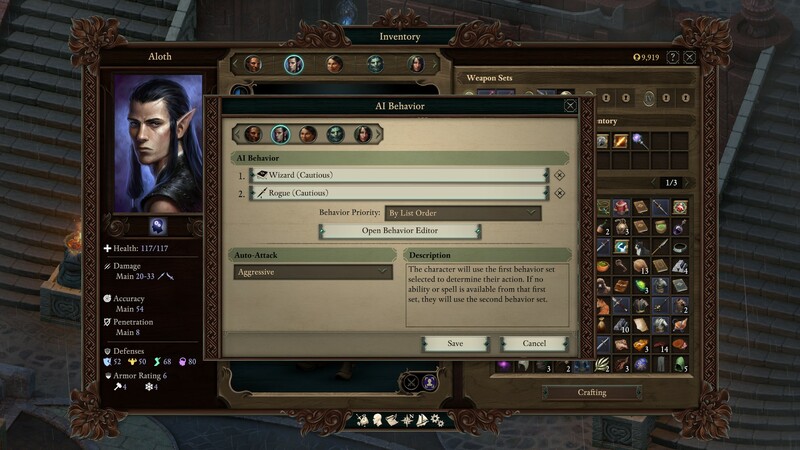 You can even turn it on for your own character to enjoy Deadfire as a pure story piece. If you are getting involved in combat though, the one thing to bear in mind is the new rules of engagement. When a character is engaged in melee combat and they try to move away without properly disengaging, then there can be an attack of opportunity from their opponent. This is more inline with many tabletop RPG mechanics. And it’s something that you need to be aware of when going into combat in Pillars of Eternity II: Deadfire. Of course, it’s not all just about combat. Pillars of Eternity II: Deadfire has a huge world and a wide variety of interactions to uncover. Characters attributes have an effect on some of the interactions that you are allowed to take. As an example, you may be speaking with a character that has something you need. You may be able to pull a bluff to convince them to give it to you. But only if your parties Bluff attribute is high enough will that option be available to you. Sometimes there are cut scenes too, that give you options on how to resolve a situation. This could be navigating a treacherous path, and you would choose a character with the best Dexterity to attempt it. Doesn’t necessarily mean they will pass it though! As well as the base attributes, characters have abilities. These can either be passive ones that apply most of the time, or specific combat related things. The nice thing is that there is essentially a tech tree of abilities. When a character levels up you will get the option of getting one or two new abilities. And, if you multi-class a character, then you have the option of which tree to choose from. For further customisation of the characters, Pillars of Eternity II: Deadfire boasts an impressive graphics upgrade to its predecessor. There are a huge amount of options for the character models within the game. The only downside is that there are still only a limited number of character portraits to choose from. It can make it difficult to find a portrait to match whatever crazy character design you have come up with. There’s a huge amount of depth in the story of Pillars of Eternity II: Deadfire. Not only with the main story line, but with all the side plots too. What’s great is that your class and backgrounds can often unlock further options on how you deal with scenarios. The only issue I have with this is the character I picked was a sassy priestess. And you spend most of your time being pirates. I’m not entirely sure my character would be comfortable with such exploits. Even after 30 hours of play, you can feel as if you have only scratched the surface of what’s on offer. And even with the other gods offering you advice, you still have the reign to mostly do as you please in the Deadfire.